CouponHUGE`s goal is to protect the information you share with us. To protect your privacy, CouponHUGE follows different principles in accordance with world-wide practices for customer privacy and data protection. We will ask you when we need information that personally identifies you (personal information) or allows us to contact you. Generally this information is requested when you create an account on the site or when you download free software, enter a contest, order e-mail newsletters or join a limited-access premium site. We use your Personal Information for four primary purposes: * To make the site easier for you to use by not having to enter information more than once. * To help you quickly find services or information * To help us create content most relevant to you. 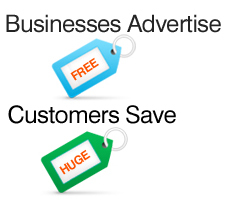 * To alert you to special offers, updated information and other new services from CouponHUGE. If you choose not to register or provide personal information, you can still use most of CouponHUGE.com, but you will not be able to access areas that require registration. If you decide to register, you will be able to select the kinds of information you want to receive from us by subscribing to various services, like our electronic newsletters. If you do not want us to communicate with you about other offers regarding CouponHUGE products, programs, events, or services by e-mail, postal mail, or telephone, you may select the option stating that you do not wish to receive marketing messages from CouponHUGE. CouponHUGE occasionally allows other companies to offer our registered customers information about their products and services usually via links, banner advertisements or coupons. If you do not want to receive these offers, you may select the option stating that you do not wish to receive marketing advertisements from third parties. Or simply refrain from clicking on any advertised offer you may come across while visiting our website. We will provide you with the means to ensure that your personal information is correct and current. You may review and update this information at any time by logging into your account. There, you can: * View and edit personal information you have already given us. * Tell us whether you want us to send you marketing information, or whether you want third parties to send you their offers by postal mail. * Sign up for electronic newsletters about our services and products. * Register. Once you register, you won`t need to do it again. Wherever you go on CouponHUGE, your information stays with you. * We delete your personal information upon your request and when we no longer need it for the purposes described within our policy. CouponHUGE has taken strong measures to protect the security of your personal information and to ensure that your choices for its intended use are honored. We take strong precautions to protect your data from loss, misuse, unauthorized access or disclosure, alteration, or destruction. Your personal information is never shared outside the company without your permission, except under conditions explained above. Inside the company, data is stored in password-controlled servers with limited access. Your information may be stored and processed in the United States or any other country where CouponHUGE and its subsidiaries, affiliates or agents are located. You also have a significant role in protecting your information. No one can see or edit your personal information without knowing your user name and password, so do not share these with others. Usage of this website is completely optional and we may no guarantees surrounding your information. As mentioned above, every registered customer has a unique personal profile. If you choose to provide us with personal information, then you are consenting to the transfer and storage of that information on our servers. We collect and store some of the following personal information: email address, physical contact information, and (depending on the service used) sometimes financial information; computer sign-on data, statistics on page views, traffic to and from CouponHUGE and ad data. This information is collected by using cookies. You can take the necessary steps to disable the cookies on your browser although this is likely to affect your ability to use CouponHUGE; other information, including users IP address and standard web log information.